Approaching the small Kirkcudbrightshire village of Borgue from the west. This small village is built along the arms of the T junction which form its only streets. 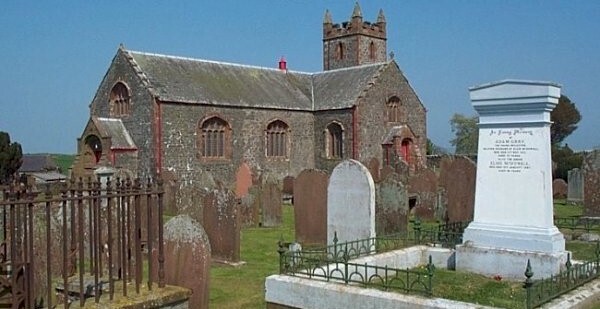 Borgue Parish Church and Graveyard on the hill above the village. The T juntion with view back up to the church. Painted cottages around the T junction all appear to have been modernised in recent years. 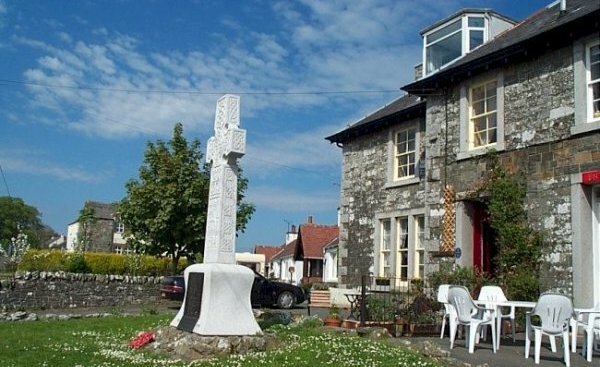 Borgue Hotel with the Parish War Memorial in the front garden area. North end of the village opposite the school entrance. Borgue Primary School today was the famous 'Borgue Academy' of the 19th century. House at the north end of the village in the course of being modernised.